Visiting Santa Barbara is always fun. This time, On our way back from Santa Barbara, we stopped at a place called “The Sacred Space” in Summerland. It was not in our list to visit, so had little idea what to expect from this place. Whether It’s a shop, a garden or some temple?. It was a good reason for us to explore. The entrance is serene even when the traffic on 101 is flying by just a few yards away. It make its statement before you enter that it’s a place to feel tranquility. Upon entering, Sacred space team at reception welcomed us warmly, shared knowledge about the place and generously offered us with complimentary water or hot tea. It was a really cold day in Summerland however the warmth of this space immediately had us forget everything outside.Sharing some of serenity I felt via pictures as It’s difficult for me put it in words. Aren’t they amazing ! The music , The incense, The intoxicated fragrance of candles were making every passing moments more memorable and fulfilling. Their collection of deities like Ganesha, Hanuman, Krishna, Buddha, Mahavir, Laxmi, Saraswati, Quan Yin, Vajra Buddha, Sakyamuni,Vajrayana and Green Tara are few which I could remember. 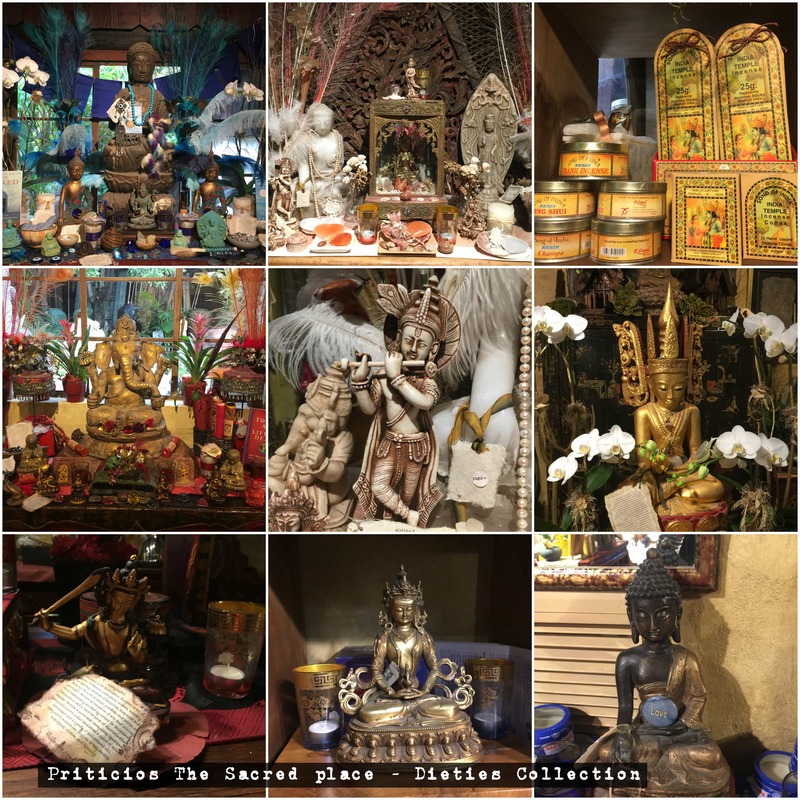 Their store has a great collection of healing chakra stones, religious jewelry, ritual items, books, decorative items and array of beautiful sculptures. In between our captivating experience, I was reminded not to forget exploring the outdoor garden space. As soon as I stepped out, I felt like I am in a rainforest. 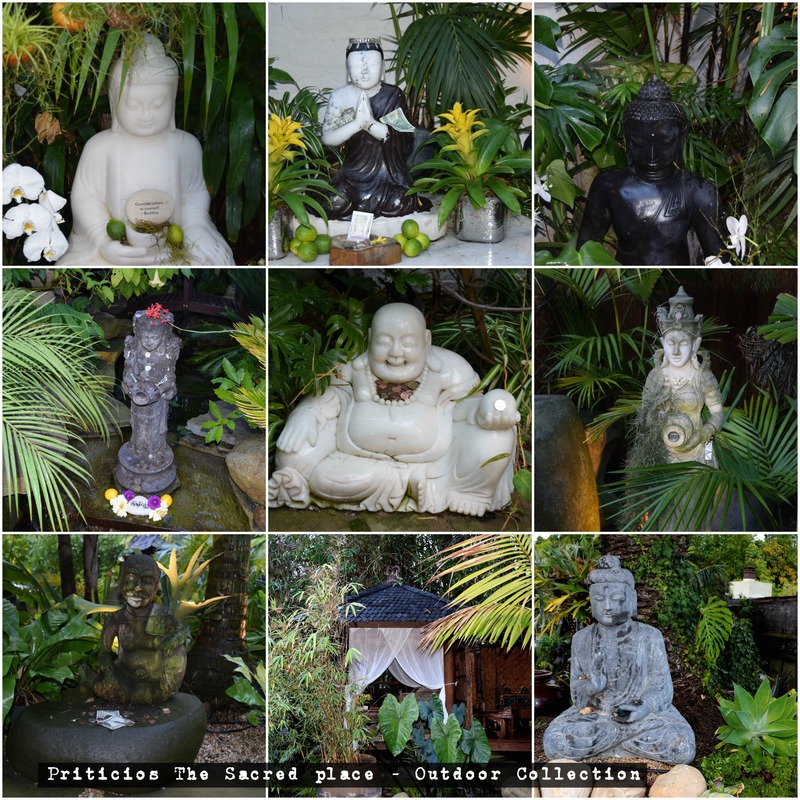 My mind is still imprinted with a small pathway which was decorated with white orchids, river stones , sculptures and complementing shades of green. The extraordinary setup of plants, sculptures and pavilion is unforgettable. This place is graced with healing powers and peace. Indeed it’s a sacred space- “A little heaven” on earth. Visit this beautiful place and grace yourself this nostalgic experience. How lovely and very welcome in today’s hectic world.